Physical Medicine and Rehabilitation - International is a peer-reviewed, open access journal published by Austin Publishers. It provides easy access to high quality Manuscripts in all related aspects in branch of medicine that aims to enhance and restore functional ability and quality of life to those with physical impairments or disabilities including injuries to the muscles, bones, tissues, and nervous system. The journal also focuses in new advancements in research for the treatments to restore optimal function to people with disabilities. 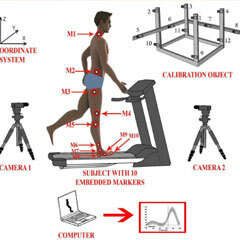 Physical Medicine and Rehabilitation - International accepts original research articles, review articles, case reports, mini reviews, rapid communication, opinions and editorials on all related aspects of enhancement and restoring functional ability and quality of life to those with physical impairments.